A Black and White loon floats on sparkling Turquoise waters beside Marsh Green grasses. 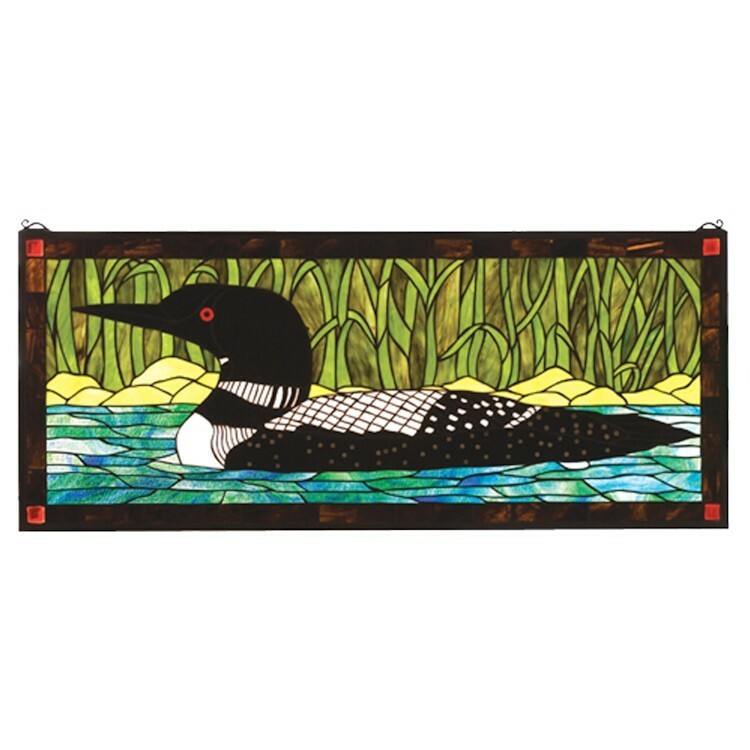 This handsome Loon Stained Glass Window is handcrafted utilizing the copperfoil construction process and stained art glass encased in a solid brass frame. Mounting bracket and chain are included.